This rustic timber border gives your flower beds a defined edge and also makes it easier to trim around the edges of beds. 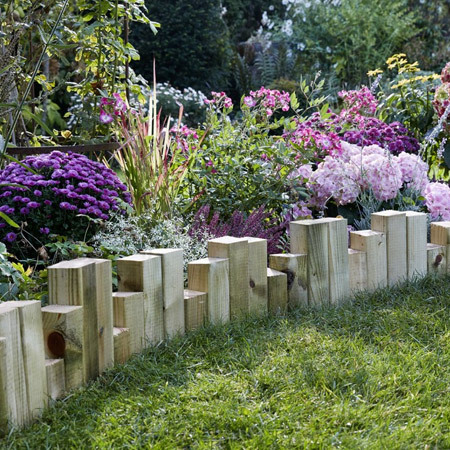 We use stumpy blocks of wood for our border, but you can use any size of timber offcuts that you have. The different lengths used to create the border give it a unique, rustic look. 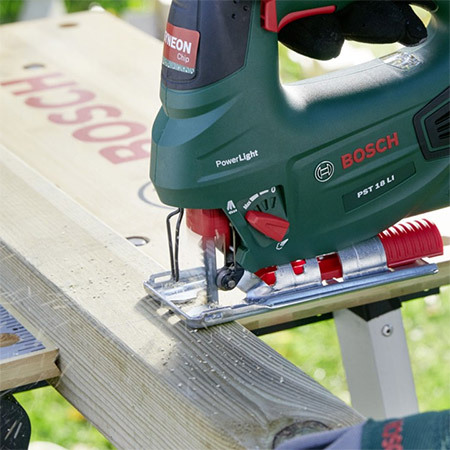 Whatever thickness of wood you use to make your edging, it will need to be cut to the desired length. Easiest way to do this is with a jigsaw - or mitre saw - or table saw. When using a jigsaw, clamp the piece to your workbench and cut straight across. Repeat this for all the pieces you will use to create the border. GOOD TO KNOW: Allow enough length for the offcuts to be placed in a trench and still create an attractive border around flower beds. This next step is optional, but if you want the wood to look good and last longer, spray with exterior wood sealer or timber preservative. 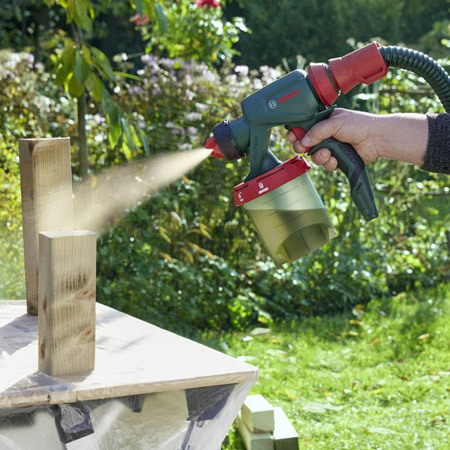 Using a Bosch PFS spray system to spray the offcuts is a breeze and you can complete this step easily. Allow the pieces to dry thoroughly. Now you need to dig out a trench to install your edging. 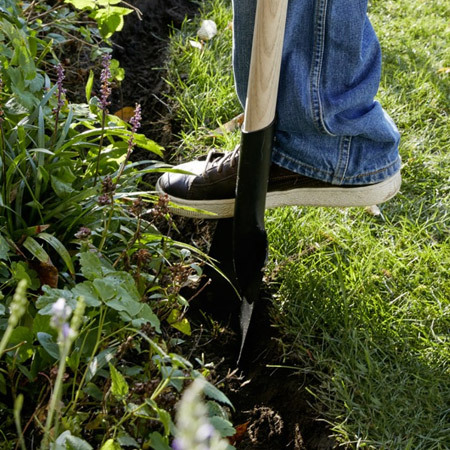 You need to dig down to about the depth of your spade to make sure the offcuts don't tip over once installed. Place the offcuts in the trench, lining them up and varying the heights. Push the removed soil back into the hole, pressing firmly against the blocks. 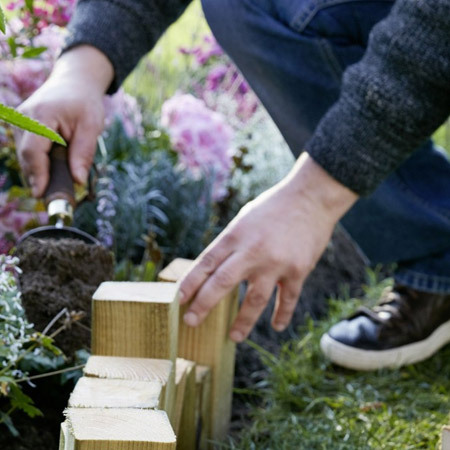 GOOD TO KNOW: Adding a little pea gravel or small stones will help make your edging more stable. 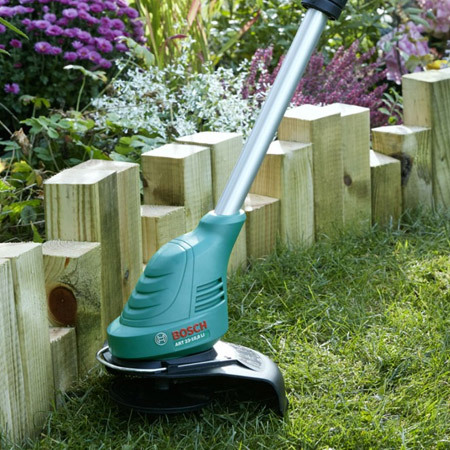 Not only will the new edging look good, it will make it easier to maintain a neat edge around the lawn.